Nothing is more magical than welcoming a new baby into your family. The tiny, delicate fingers and toes; the precious, soft skin; the certainty that this is a love unlike any you have known. You are certain that your life will never be the same. It is a privilege for me, as a Quad Cities Maternity and Newborn Photographer, to preserve this special milestone for you and your family to remember forever. Everyone who has been a parent knows that those early days go by in the blink of an eye, so let me document this journey for you to treasure and hold onto for years to come with timeless portraits. Don't forget to make your pregnancy story complete with a maternity session. 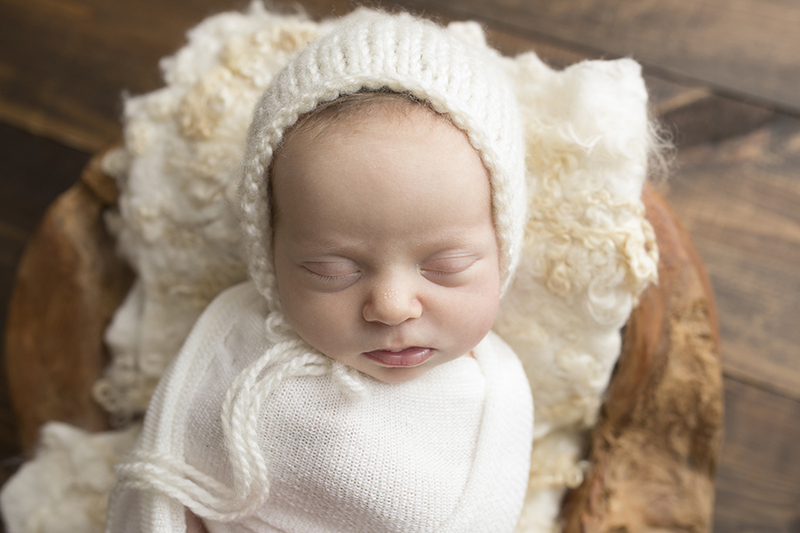 Please check out all the exciting options for both maternity and newborn collections below. 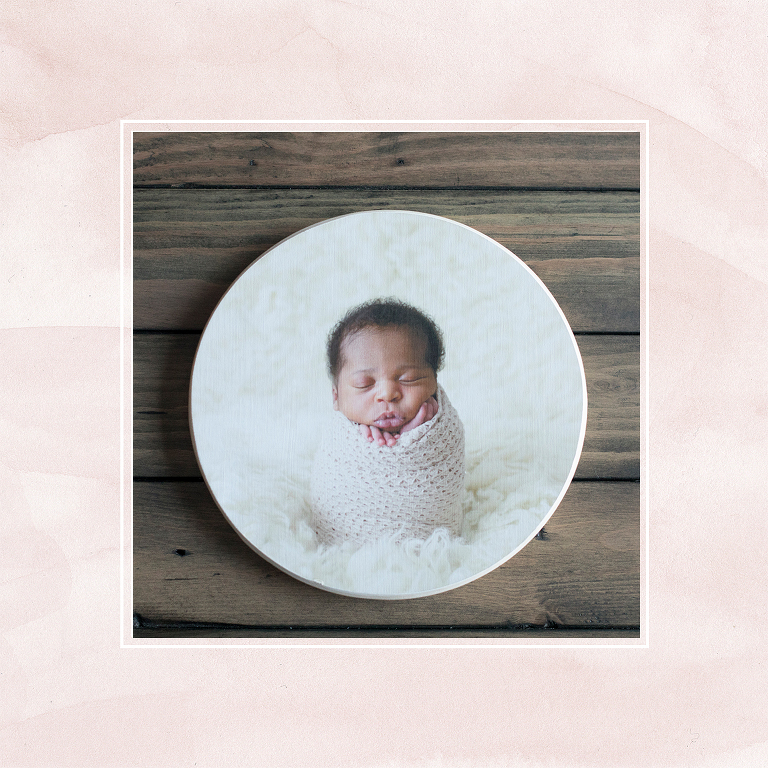 If your heart desires heirloom prints + products and a luxury experience tailored just for you, then one of these Fine Art Newborn Collections is meant for you! With the Fine Art collection, you will have the opportunity to see your images before ever making a purchase during your very own gallery viewing! This allows you to order what you love the most! It's a very hands on and customized experience from the very beginning to the final product being delivered directly to you! Approximately 2 weeks after the session, we will meet for a Gallery Viewing where you will see all your images set to a slideshow, narrow down your favorites, and then decide what you'd like to do with those whether it be order them in large wall art, order gift prints or perhaps a gorgeous canvas, design a beautiful lay flat album, and/or purchase digital files. The options are endless, and I'm so incredibly happy to offer my expertise and design custom heirloom items to treasure forever. Full session: Session fee is $250, plus $350 minimum spend. Mini session: Session fee is $150, plus $300 minimum spend. Do you want all the images in your gallery as digital keepsakes, to be able to share on social media or with family that lives out of town? As a mom, I understand the want for all the digital files from your gallery. They are keepsakes to remember every single detail from when your little one was this small only for a short amount of time. If this is what you desire, then one of the newborn digital collections is meant for you! Approximately two weeks after your session date, you will receive an email with a link to a password protected online gallery to download your high resolution digital files directly to your computer! It's super easy and user-friendly! PLUS - in the link there is a shopping cart that you'll have the option to order professional prints through if you'd like! Digital collections begin at $450, and includes 10 digital files. - 2-3 hour newborn session that takes place in our beautiful new studio located in Andalusia, IL. (1 hour for Simplicity Newborn session). - Luxurious props, hats, headbands, blankets that have been sourced from the best vendors around the world. Everything will be provided so you don't have to worry about bringing anything but your little one! - Baby will be gently posed in all of those squishy, womb-like, curly poses and you get to simply relax, watch, and enjoy. There's a comfy waiting area so you can see all the behind-the-scenes, watch a little TV, or read a magazine. There's also a fully stocked refrigerator and a basket full of snacks to munch on while you wait. 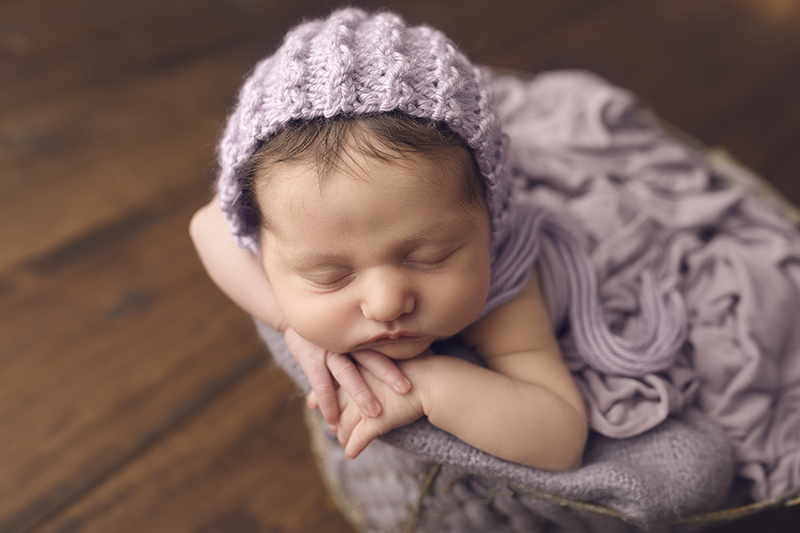 - Newborn safety and attention to detail will always be my top priority, so rest assured that every pose and every image will be absolute perfection! 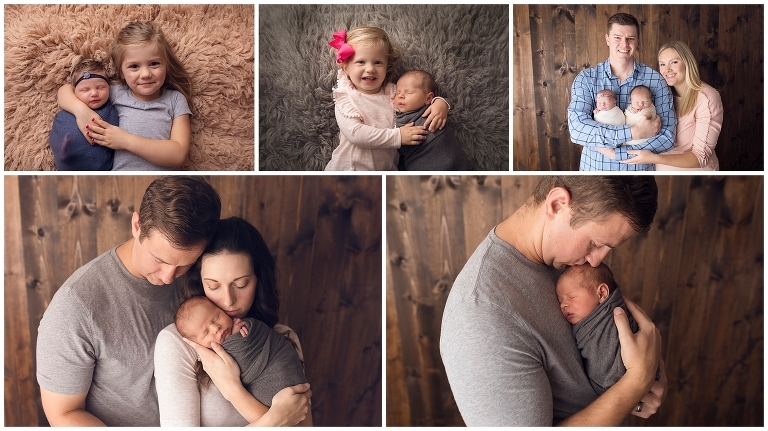 - We also include the sweetest posing with mom and dad (and siblings) with full newborn sessions. *Not included in Simplicity Sessions. Upgrade your experience by selecting our best selling Grow With Me Collection. With this collection you not only receive your newborn session, you will also receive a 6 month session and a one year session with a cake smash to document your baby's first year major milestones! All of these sessions combined is a session fee of $400, with a $350 spend commitment at each session. By booking everything together, you save $150 in session fees!!! 2-3 hours in studio within 12 days of birth. Availability does change quickly, so I recommend booking sooner than later just to make sure your session is guaranteed. Props/hats/headbands/wraps will be provided by the studio, so you don't have to worry about bringing anything but your sweet little one! 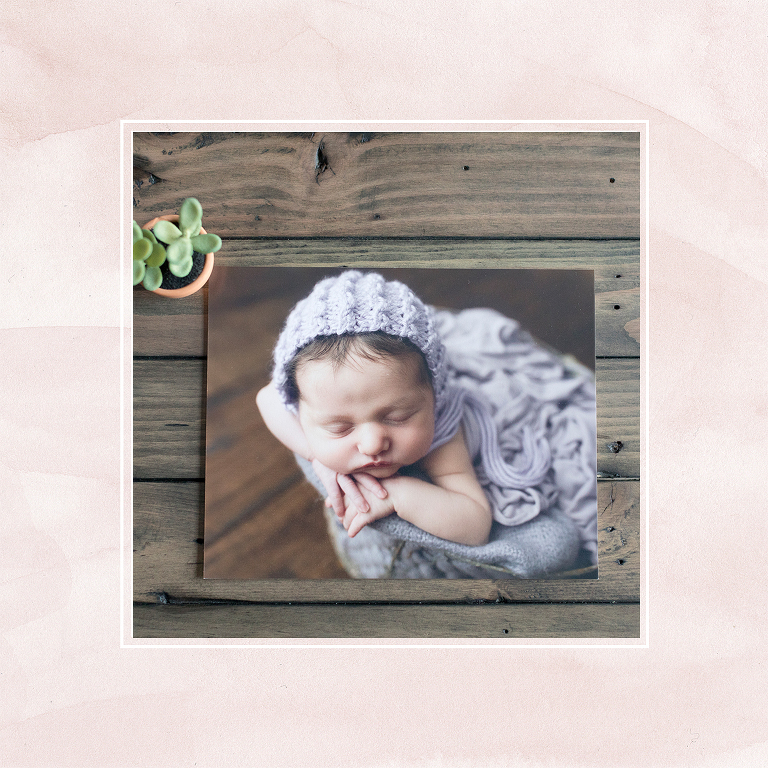 Amanda Oakes Photography proudly offers a mix of print collections, a la carte prints + products, along with digital collections. DO I NEED TO BRING ANYTHING WITH ME FOR THE NEWBORN SESSION? Nope! I supply everything for the newborn session. 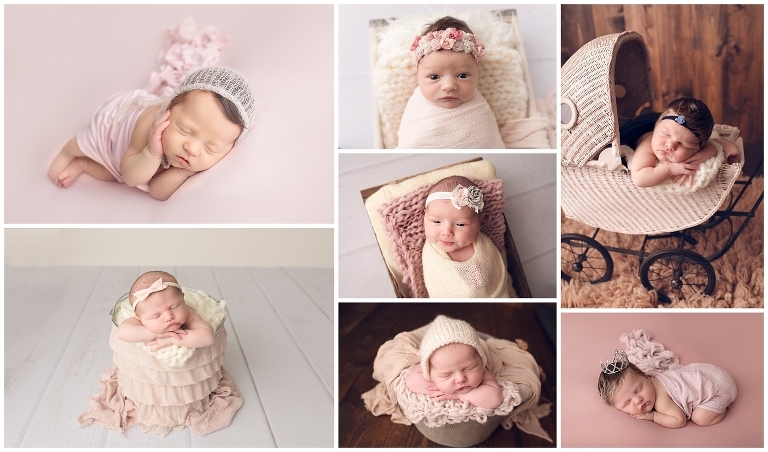 In my studio, I offer clients the most beautiful and delicate wraps, headbands, bonnets, hats, pants and rompers, and vintage style props to photograph your baby in. Everything you see on my website is hand picked by me and provided by my studio. Photography is an art form, and I have the skill, experience and training in this field to make the difference between a cute picture and a breathtaking heirloom for you. My experience and training in working with newborns ensures that your session will be as stress-free as possible for your baby – and for you. Safety is always my first priority with your delicate brand new baby. 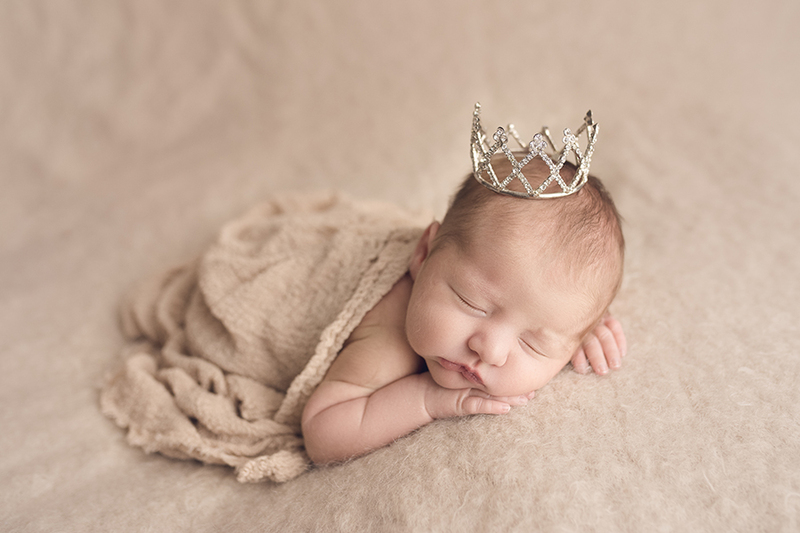 In addition, my expertise in posing newborns, safely using props and retouching images provides value you’ll see in every portrait as you select among the prints, albums, canvas gallery wraps, baby announcements and other products I offer. A maternity and milestone session typically takes 45 minutes to one hour. A newborn session can take anywhere from 2-3 hours. But don't worry, the studio has a refrigerator stocked full of drink options along with some snacks to munch on! There's always a variety of magazines to catch up on as well for your reading pleasure!